Do you want to learn about the stakes of tomorrow’s world? Do you want to develop your network? Do you want to seek inspiration from our French and international top speakers? 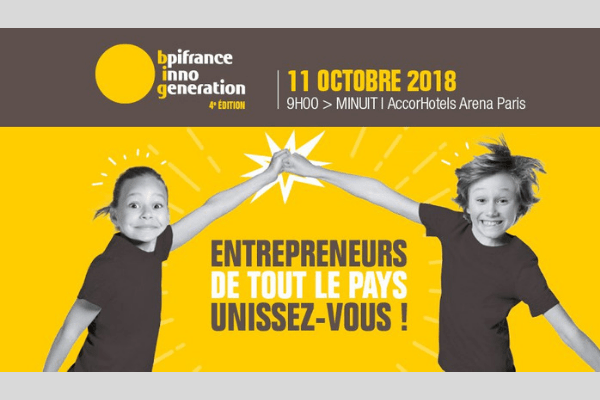 Then come and join us on Thursday 11th of October, for the 4th edition of Bpi France Inno Generation at the Accor Hotels Arena in Paris. Franck JULIEN, President of ATALIAN will be one of the top 100 French and international speakers. Sophie Pécriaux, President of City One, will coordinate a workshop called “Unissons-nous pour construire le monde de Demain” (Lets unite to build tomorrow’s world in French) at 11:30 PM.